Two different walks about the geography of Manhattan’s 1811 grid plan, (The Commissioners’ Plan), highlight how First-Ninth Avenues and First-Fourteenth Streets meshed with colonial era street patterns and vice-versa. Walk 2: Fifth Avenue to Ninth Avenue explores the Central and West Villages, particularly Washington, Father Demo, Sheridan, Abingdon, and Jackson Squares. 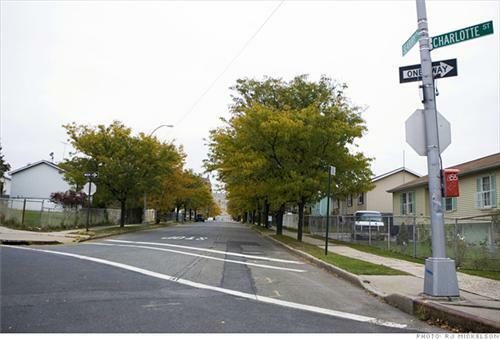 During the first third of the 20th century, Western Queens nurtured developments where traditional open space/building area relationships were altered to create new urban architecture. The Sunnyside Gardens and the Jackson Heights Historic Districts anchor the route which also includes Phipps Gardens, Matthews Flats, Metropolitan Life apartments, and early truck-oriented industrial buildings. In the “post-modernist era”, NYC planning principles encouraged innovative new public spaces to be maintained by private entities. These new spaces typically offer shelter and shortcuts and add to the connections already provided by transit, stores, and hotels. These walks, particularly when offered in cold weather months, beat winter by connecting public atriums, passageways, building lobbies, and walkways that reveal a more intimate side of Midtown. Queens Plaza, “five minutes from Bloomingdales,” is where the Queensboro Bridge, Queens and Northern Blvds, eight subway lines and the mainline of the Long Island Rail Road all converge in Long Island City. Dormant during decades of industrial decline, the Plaza has undergone rapid recent change. Zoning was dramatically reformulated to accommodate residential and commercial demand for sites convenient to but much less expensive than midtown Manhattan and there has been significant new construction. 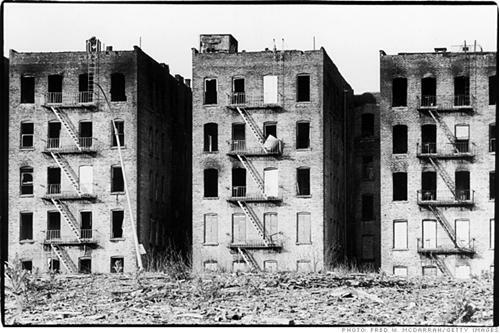 After an onslaught of 20th century ills, the Bronx neighborhoods of Mott Haven, Melrose, and Morrisania were perceived as an amorphous and depressed “South Bronx.” In recent decades, planning and new buildings have begun to restore their viability. This series of walking tours stresses renewal in response to basic urban geography. Have attitudes about publicly and philanthropically assisted housing changed? Many huge housing projects were designed to maximize off-street open space that is open to the public. The walk concentrates on the benign allees of vast projects that parallel the East River Bend from the Brooklyn Bridge to 14 St in Manhattan. Commentary centers on the socio-political history and geography nurturing these projects. This tour meets under the arches of the Municipal Building and ends in the East Village. Tour Grand Central and Bryant Park, planned areas greatly altered since the Civil War. Then we will see how historical cartography captures the changing urban landscape in the splendidly restored Map Room of the New York Public Library. East of Citifield (the New York Mets baseball stadium) is a sewerless hardscrabble area of auto junkyards and related businesses that has twice beaten back attempts at redevelopment. But as it is located between the new stadium and a booming Chinatown in Flushing, public and private interests are again trying to transform “Willets Point”. We’ll walk to the area from central Flushing to understand its important setting, confront ecological issues and learn why “Willets Point” is a misnomer. Constructed in a once squalid area of the city known as the “Tenderloin”, Penn Station united rails and tunnels from Long Island, New Jersey and points south that previously terminated on the other side of the Hudson. We’ll walk through the remnants of the neighborhood’s past and take a look at its proposed future. Tour includes visiting the Farley Post Office building, planned as the new Amtrak station, the historic Hotel Pennsylvania, Herald Square, and “Koreatown”.